Build Smart. Save Money. Choose Eastern Ontario ICF. Building your new home with ICF will save you time and money not only during construction, but also on your monthly heating and cooling costs for years and years to come! In fact, the average home built with LOGIX ICF is almost 50% more energy efficient than other homes! Ask how we can help you save today. Building your home with Insulating Concrete Forms helps meet the demanding standards for energy efficiency and indoor air quality such as those set out by Energy Star/Eneguide 80, R-2000 and contributes to the LEED Point System. 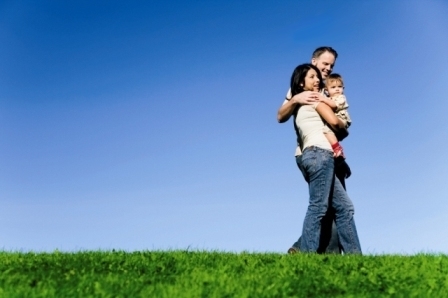 Using ICF contributes greatly to a cleaner and healthier environment for you and your family for generations to come. At Eastern Ontario ICF, we stand by you every step of your construction project to make sure it is done accurately and to the estimated cost and schedule. We'll provide you with all the information you need to understand how the products we use in your home help contribute to healthier, greener and more comfortable living conditions while minimizing your impact on the environment. Eastern Ontario ICF is a builder, supplier / distributor of LOGIX INSULATING CONCRETE FORMS (ICF) and LEGALETT GEO ICF FLOOR SYSTEM, combining engineered slab on grade technology with air-based radiant floor heating. While we are based in the KINGSTON area, our clients come from a 150km radius in the Eastern Ontario Region from CORNWALL to TRENTON (see also map on About Us Page). 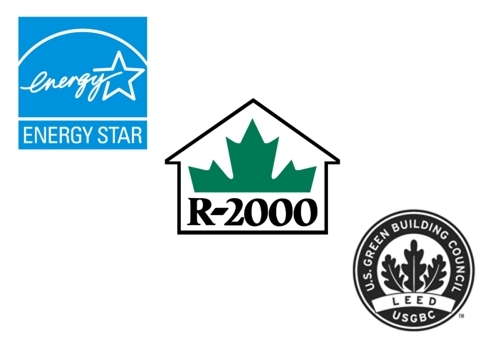 We work closely with homeowners or professional contractors from the very start of a construction project to ensure that it is done with superior quality and to the demanding standards of today's ENERGYSTAR / ENERGYGUIDE 80 energy efficiency ratings. Choosing Eastern Ontario ICF will ensure that your home is of the highest quality, solid, comfortable and healthier to live in. It is the responsible choice for you, your family and the environment. CLICK HERE TO REQUEST PERSONALIZED INFORMATION FOR YOUR NEW PROJECT.